Asif Kapadia’s Senna (2010) is playing at GFT until 16th June and I was asked to provide the programme note (those A4 handouts you get at a screening). GFT’s intention behind these things is to “enhance the film viewing experience and to encourage discussion around the film”. They keep the notes online so there’s a nice selection of interesting articles for all kinds of different films going back a while on their blog. Senna has been very well reviewed and the consenus, if there is one, is that it’s a film that appeals equally to fans of Formula One and complete novices (such as myself) alike. The filmmakers succeeded in gaining the approval of Ayrton Senna’s family where the likes of Oliver Stone, Michael Mann and Walter Salles had failed and also were allowed unprecedented access to Bernie Ecclestone’s Formula One archive. Apart from plenty of exciting race footage, this also meant they could use candid footage of trackside discussion and official meetings, all of which have the intimacy of the fly-on-the-wall documentary with minimal self-consciousness. 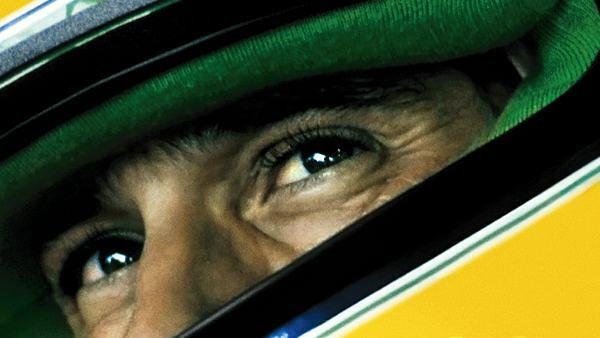 The film’s Hollywood feature film structure – the subject of my note – means Senna becomes an involving, well-paced and, of course, ultimately tragic story based around a charismatic character, which also has the virtue of being ‘true’. And packed with loads of cars going vrooom! This entry was posted in GFT, Programme Note, Working Hard/Hardly Working and tagged Asif Kapadia, Film, GFT, Senna. Bookmark the permalink.